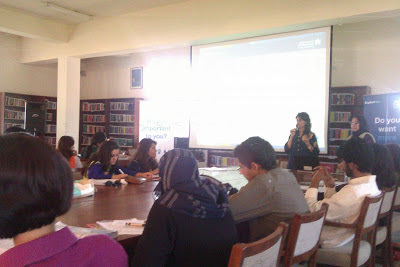 HR team of Standard Chartered Bank organized the "explore you" workshop at Lahore School of Economics SBS library on October 24, 2012 as a part of their recruitment drive for 2013. The very interactive session was conducted by Reena Ebrahim, the Learning and Development Manager and Ayesha Saleem, the Talent Acquisition Specialist. 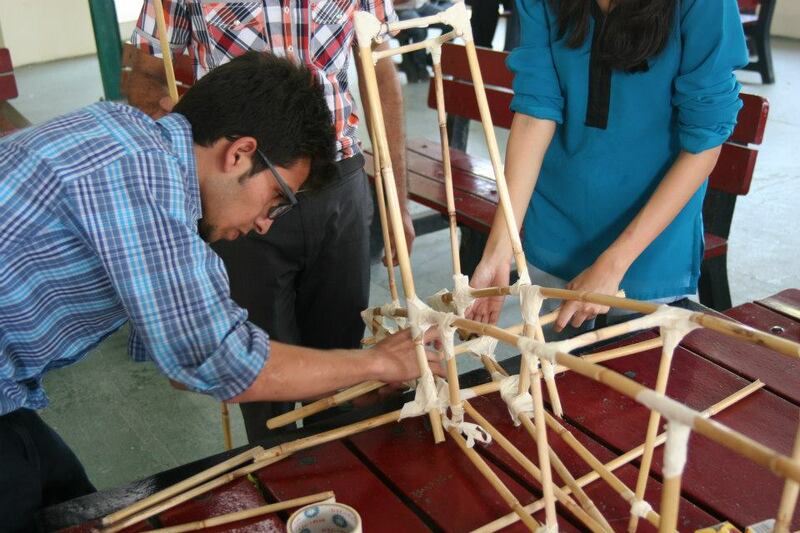 The students were involved in creative exercises to evaluate their strengths and weaknesses. The purpose of the session was to guide the students to know their strengths and to work on their weaknesses. The highlights of the counseling session included briefings on how to work on your interpersonal skills, importance of networking, and to discover your interest. The Lahore School Society of Arts’ (LSSA) "Sculpture Making Workshops" were held on September 28 and October 3, 2012 in Garden Cafe. The idea behind organizing the workshops was to give an opportunity to all those who want to learn art of Sculpturing using basic raw materials. Theme of the workshop s was "Things from the Sky" and students were asked to sculpt forms associated with the sky; mythical animals, birds, drones and planets. Raw materials included news papers, reed, cotton strings, tape, and acrylic paints (basically all scrap). Some 50 students participated in the workshops and made an airplane, giant spider, planet, starts, and dragon, hut, alien and window decorations. 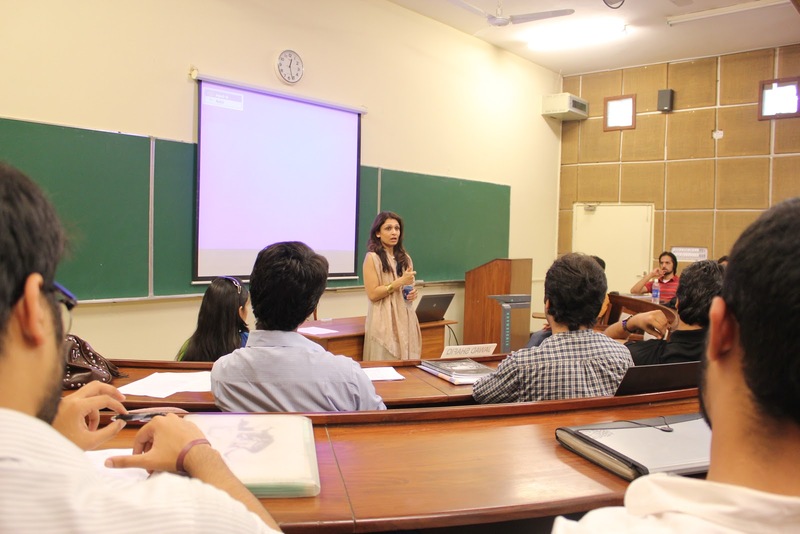 Ambereen Karamat recently joined Lahore School of Economics as visiting faculty and is presently teaching a new course titled Principles and Practice in Art Administration for Marketing and Media Studies students. Ambereen Karamat is an independent curator and an art critic. A recipient of Fulbright scholarship in 2009, she received her Masters in Art Criticism and Writing from School of Visual Arts, NY along with courses in Art Administration from Columbia University. Till August 2012 she was working putting together Rashid Rana’s mid-career retrospective at Mohatta Palace Karachi scheduled for later this year. With an interest in art market trends, she is setting up a platform that will represent Pakistani artists in the international art world, opening up with curating an exhibition in India running parallel to the South Asia’s biggest art event, India Art Fair in January 2013. 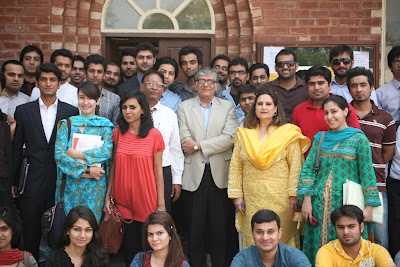 Nielsen recruitment drive was held in Lahore School of Economics on October 18, 2012. Presentations were given by Omer Asad Khan, the Senior Executive Client Services and Muhammad Salman Hashim, the Human Resource Business Partner. Omer spoke about the importance of market research and the increase in the number of companies using market research to launch their products. Salman explained the importance of working in AC Neilson as a multinational organization and the hiring process. Presentations were followed by an aptitude test after which nine students were shortlisted for the interviews which, took place on the Lahore School Campus. Haroon Waheed, the Head of Human Resources at Fatima Group visited Lahore School of Economic in connection with our ongoing distinguished professional lecture series on October 05, 2012. 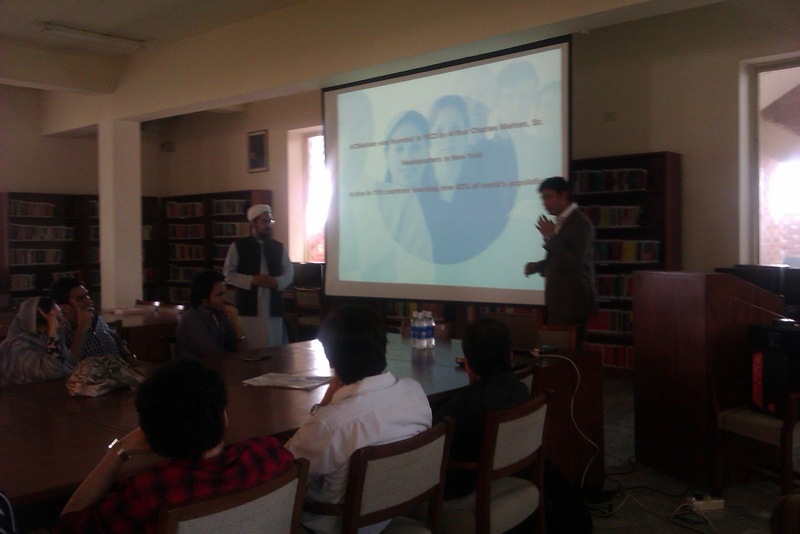 Haroon Waheed addressed the MBA and MSc (Economics) students in the Mehmood Chaudhary Library. Waheed has more than 20 years of national broad based functional business experience with Unilever and has been associated with Pakistan Society of HRM as president. Waheed talked about talent building, management and leadership skills, CV writing and also gave some practical interview tips for fresh candidates. While interacting with senior students, he told them that companies look for learning attitude, flexibility, loyalty and hunger for success in fresh candidates while hiring. Muhammad Amin Piracha, the Head of Consumer Insights and Research at Nestle gave a talk to Lahore School of Economics MBA students enrolled in the course of Consumer Behaviour on October 9, 2012. In his interactive talk, Muhammad Amin Piracha covered brand personality, brand authorship, and change in consumer preferences and answered students question in light of his personal knowledge and experience in the field. Flooded with green shirts in the dry October wind, the lush green cricket ground of the Lahore school of Economics Main Campus was alive with the shouts and cries of the Alumni totally engrossed in the cricket match that was played on October 07, 2012 between the Lahore School Alumni and Lahore School B teams. The batting line was much better for Lahore School Alumni as compared to B which resulted in Alumni winning from Lahore School team B. The total runs of Alumni were 260 and they won from by 130 runs. The Campus was filled with an air of cricket junoon and the spirits of the players were even more hyped up as the T-Twenty World Cup was also being played in Sri Lanka. 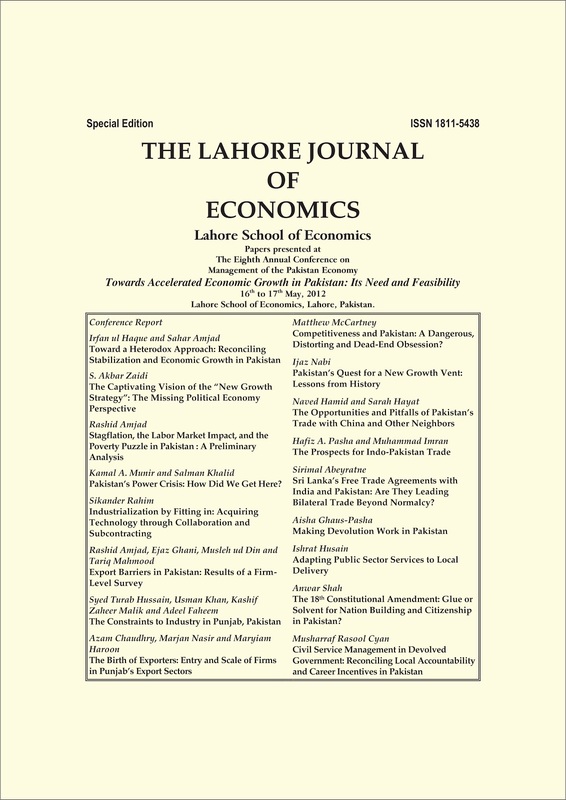 The Special Edition of the Lahore Journal of Economics (Vol. 17, SE) is available online. 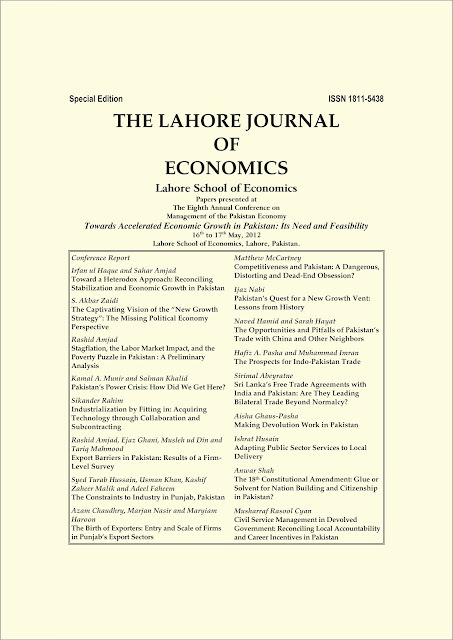 This issue contains the papers and proceedings of the Lahore School’s Eighth Annual Conference on Management of the Pakistan Economy that took place on 16 – 17 May, 2012. The Annual Conference was attended by the country’s leading economists, Pakistani and foreign academics, and renowned researchers from India, Sri Lanka, United Kingdom, and United States. Over 25 research papers and oral presentations were made during the two days of the conference. The Special Edition can be accessed here. Mehreen Shah, Manager Communications Manager at Akzo Nobel Pakistan and Lahore School Alumni 2003 visited her alma mater on October 03, 2012 and gave a talk to her MBA and MSc Economics graduating students, about Consumer Behavior as part of the Alumni Guest Lecture Series. A short video was shown, on the topic of the importance of branding. Also an exercise was carried out in the class on developing a brand personality of Coke and Pepsi. The Lahore School of Economics rugby team won from Punjab University in the first match of the Super 15s Rugby Tournament organized by the Pakistan Rugby Union, on September 30, 2012 at the LUMS Rugby Ground (24-0). 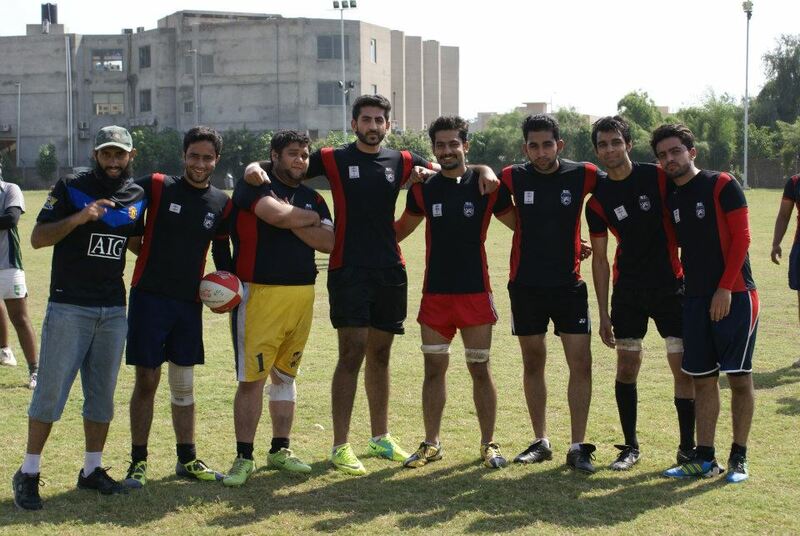 The team played its second ever 15s rugby test match after rigorous and innovative training camps conducted by Pakistan national team captain Arsalan Zahid, Pakistan team player Imran Rashid and Sair Riaz, a decorated Pakistan national team player who is currently student at the Lahore School. Lahore School of Economics team A reached the finals of the tournament and beat LUMS in a convincing 7-0 victory in SICAS second Inter Collegiate Urdu Debates held from on September 28-30, 2012. Team A consisted of Saad Sohail, Hamza Ghaznavi and Zarak Shah. The team did not lose a single match in the entire tournament in which 28 schools and colleges from all over Pakistan were participating. Team B comprised Umair Ghumman , Adeel Iftikhar and Ahmad Amjad.